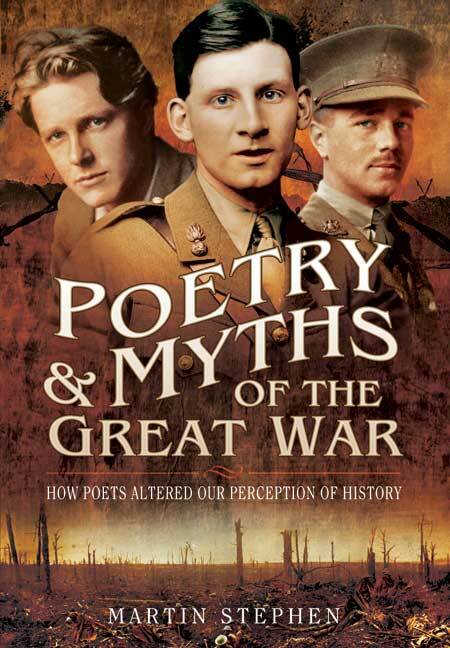 You'll be £14.99 closer to your next £10.00 credit when you purchase Poetry and Myths of the Great War. What's this? The First World War has obsessed twentieth-century society as the conflict which marked a watershed in European history and which brought home to that continent the full horror of modern, industrialised war. It is also the only war where literature played a major part in forming society's perception of it, so much so that the phrase 'war poets' is now taken to mean the poets of the First World War. Poetry and Myths of the Great War examines the various myths that have grown up around the war. It explores the historical and sociological myths of the Edwardian Summer, the supposedly banal nature poetry of the pre-war Georgian poets and the image of the British public schools as factories for unthinking cannon-fodder. It analyses the top command of the British Army and the idea that the British were 'lions led by donkeys'. Using contemporary material, it examines the life, mood and morale of junior officers and private soldiers. It offers a partial revaluation of the work of the most famous trench poets and examines in detail poetry from lesser-known authors, together with the work of authors not usually associated with the war. In part a confirmation and in part a rebuttal of many conventional views, contemporary diaries and letters, as well as popular literature and verse of the day, are used to challenge many of our preconceptions. A recent critic, noting the conformity of opinion about writers of the First World War, commented that society's vision of the war and its literature faced 'death by orthodoxy'. Poetry and Myths of the Great War is an attempt to show the announcement of that death a little premature, a task for which Martin Stephen is well qualified. As seen in Eastern Daily Press 'Norfolk' Magazine. A great read for all those interested in the poetry that came from the blood soaked fields of WWI.